Are you looking for commercial cleaners in Telford, Shrewsbury or Shropshire? Commercial cleaning is a completely different ball game to domestic cleaning. It has its own unique set of requirement’s that some companies “have a go at” but ultimately end up costing you more money, wasting your time or cleaned incorrectly. At JL carpet cleaning we have a range of different cleaning systems available, depending on each job and what your requirement’s are. Choosing the right system sounds like a minefield. Achieving the right balance of cleanliness, appearance versus the cost are major factors when choosing the right system. We always will take the time to inspect your premises fully and advise you on what the best course of action would be in getting your carpets clean and looking good again. It important to understand that whilst cheap carpet and upholstery cleaning companies may provide a quick visual clean. It will probably be more costly in the long run. Commercial carpets and upholstery go through a tough time. Regular heavy soiling, traffic lanes and poor maintenance can reduce the life of the carpet or upholstery. 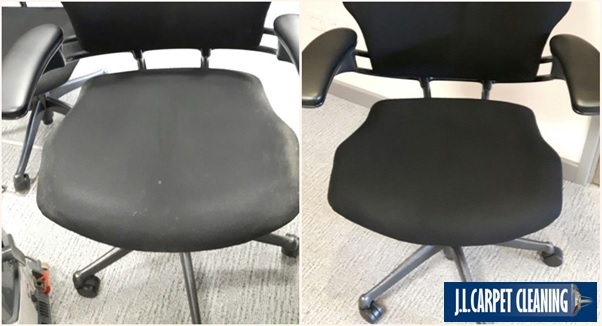 Regular cleaning will keep public and office areas more hygienically clean and will keep them fresher and looking better for longer. It will also prolong the life of your furnishings and save on replacement long term. We can offer a range of cleaning systems including traditional water extraction through to low moisture bonnet/pad buffering and encapsulation cleaning. Encapsulation cleaning can produce amazing results and contains anti stain/anti soil properties. Therefore carpets stay cleaner, healthier and deodorised for longer. This type of maintenance clean is ideal for between full deep cleans. These maintenance cleans typically work out 30% cheaper than extraction cleans. We can also tailor maintenance programs for clients, ensuring a regular program of cleaning. We appreciate time is always short. So from point of contact we can usually survey your property same day or next day, we shall explain the pro’s and con’s of each system. We’ll then look to offer you a system best suited to your requirements. Helping you achieve the best clean possible. We can provide all PAT test, method and risk assessments too. We also offer a FREE SMALL TEST CLEAN, to show what we can do for you.